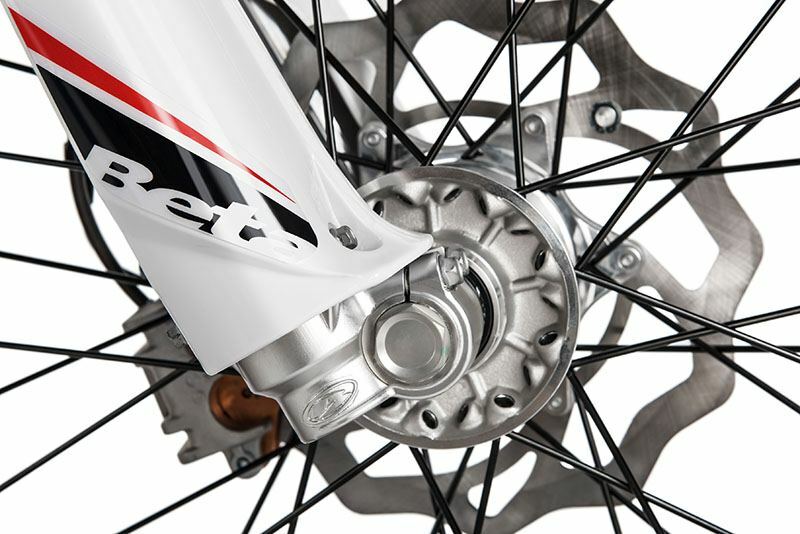 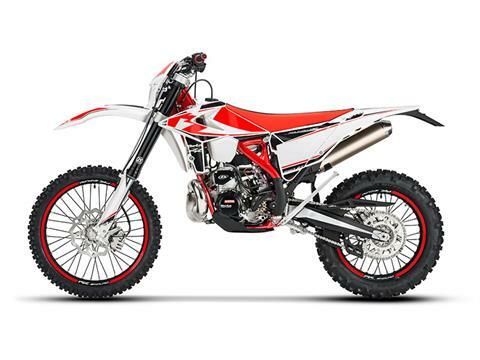 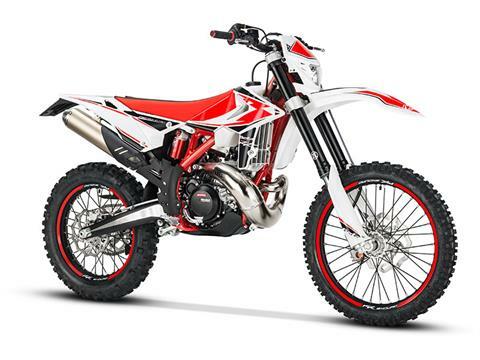 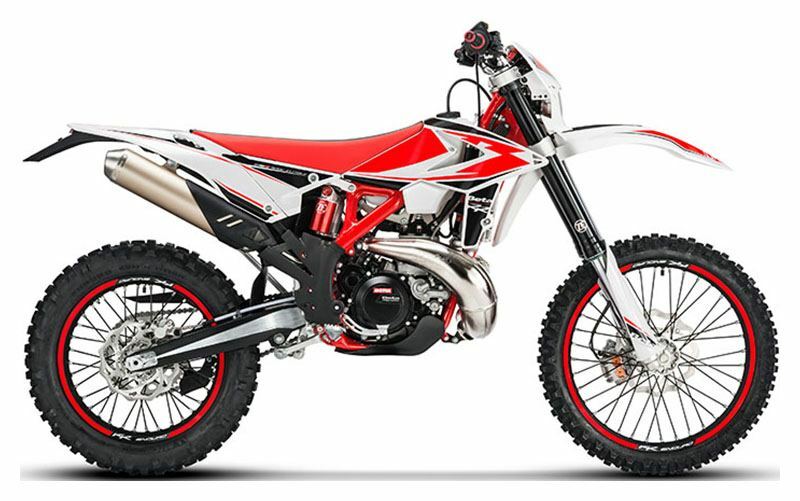 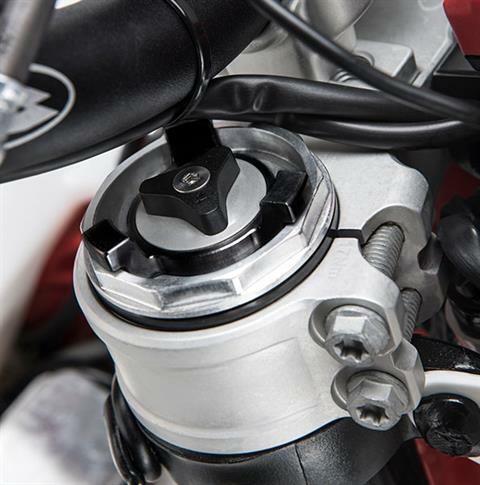 ZF SACHS FORKS: The new ZF Sachs forks feature the positioning of the compression, rebound, and spring preload adjusters on the upper fork cap. Adjustments can now be made on the fly without special tooling. 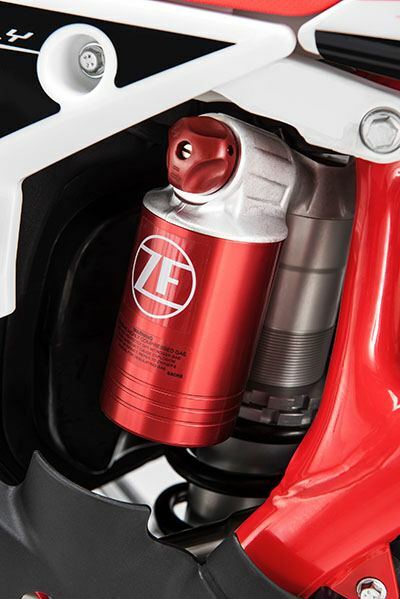 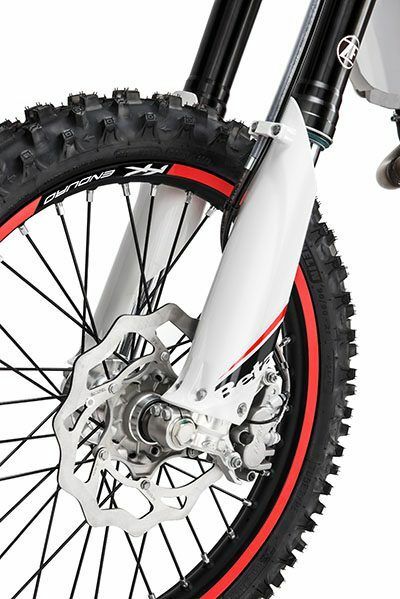 ZF SACHS REAR SHOCK: The new ZF Sachs rear shock is about 300g lighter and has been designed to increase sensitivity while enhancing comfort and traction. 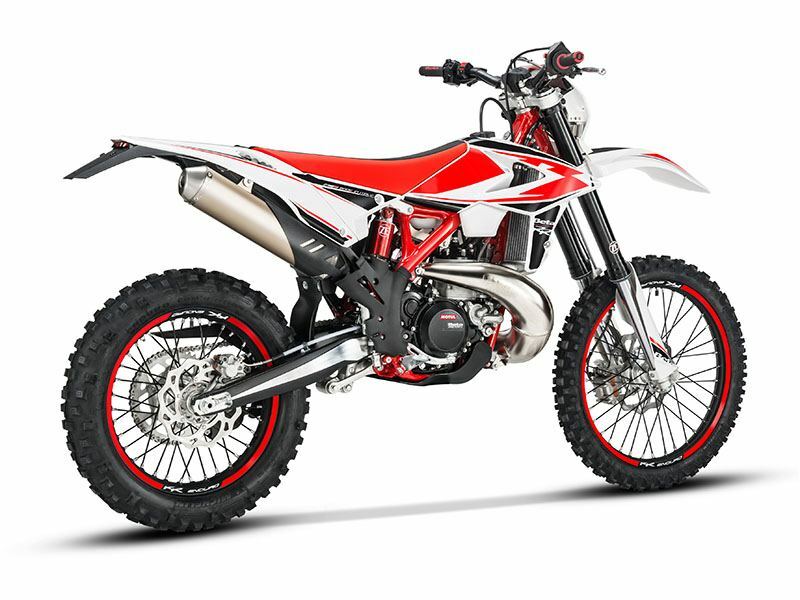 Beta-Built single cylinder, 2-stroke, with BPV power valve system and electric start with a back up kick starter sold as an option. 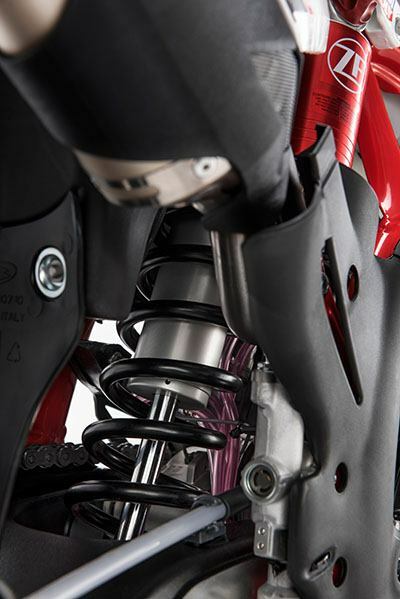 Front - 48 mm Sachs USD fork, adjustable compression, rebound, & spring preload.